The impact of what could be a historic storm in the East Coast is being felt at airports across the country, including in the Bay Area. Dozens of Bay Area flights headed to the East Coast were canceled Monday due to the storm. "We are tired and wanted to go home," said Kishor Mody. The Mody family was in San Francisco International Airport on Monday and trying to regroup after their flight home to New Jersey was canceled. 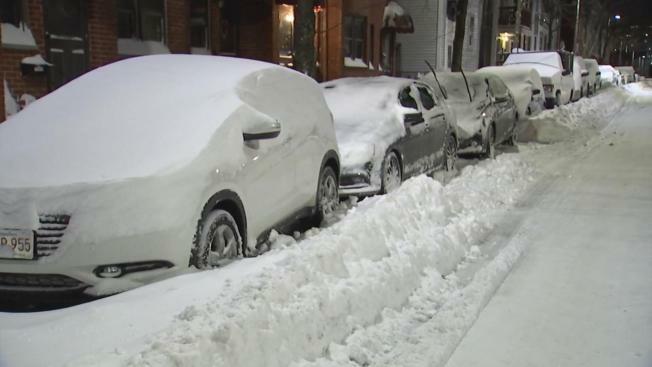 More than 1,700 flights nationwide have been canceled to and from airports on the East Coast. Nearly 700 more flights have been delayed due to a storm that could dump more than a food of snow in New York and Boston. At SFO, 32 flights to and from the East Coast were canceled Monday. More flights headed to the East Coast from SFO are expected to be canceled Tuesday. Delta, American and United Airlines said they would wave rebooking fees for travelers affected by the storm. The worst of the storm is expected to hit Tuesday morning.